Numbering: ​Specific numbers may be requested at time of ordering but are available on a first-come, first-served basis only. ﻿﻿Brother Imeh and this artwork was featured in the Alpha Phi Alpha Fraternity, Inc Sphinx Magazine Spring/Summer 2015 publication (Page 51). depicts the unique experience of black Greek-letter fraternities. Deep in My Heart and The Phi are the two print executions that are part of a fundraiser to support the educational and mentoring activities of the Lee B. Revels Scholarship and Mentoring Foundation, Theta Iota Lambda Chapter’s non-profit corporation. 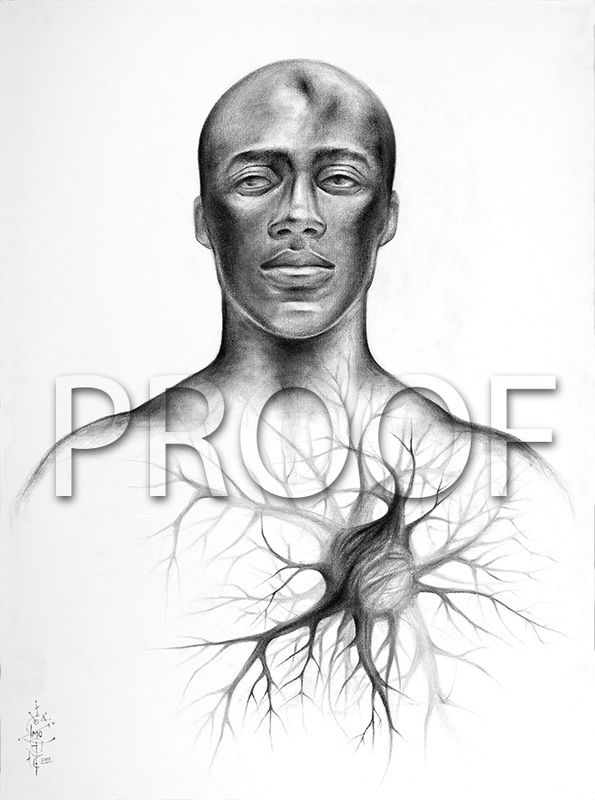 Both drawings reflect the emotional and spiritual connections of a strong fraternal spirit, including its mystery, complexity, and inter connectivity. process with archival ink on acid free paper. Each print will be hand-signed by the artist. Only 108 prints of each drawing were available, and a limited supply currently remains for sale. This series will be closed for acquisition once all remaining prints have been sold. No exceptions. Order yours today, and cherish it forever. Gallery in New York City, founded and directed by Danny Simmons. Imeh’s work was recently featured in the international African Diaspora arts journal Transition Magazine, and he is the featured visual artist for the book set Eight New-Generation African Poets, edited by Kwame Dawes. Imeh received a bachelor’s degree from Columbia University and two master’s degrees and a Ph.D. from Yale University. He is an associate professor of art and art history at Westfield State University. The order process will close after all available prints are sold. When the order process closes, there will be no additional orders processed. 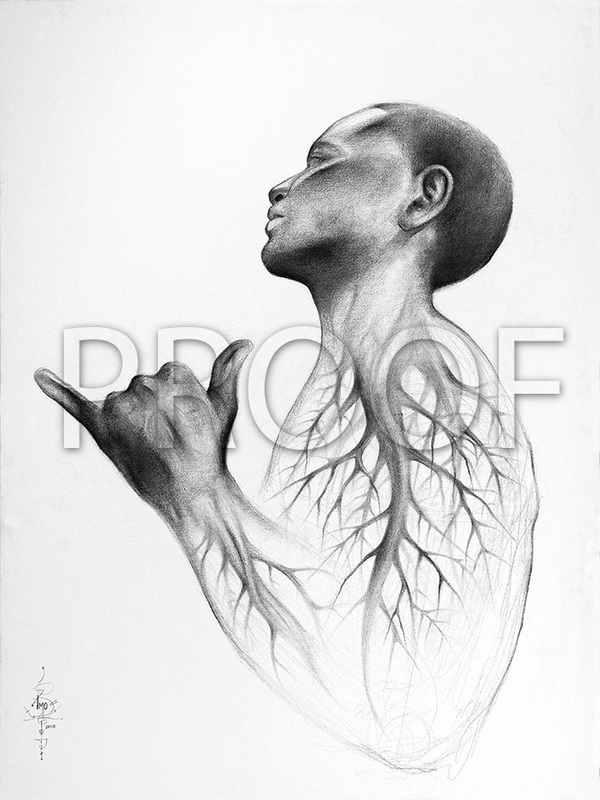 Each of the prints will be hand signed and numbered by Dr. Imeh to provide you with the authenticity of the print. Duplication of the prints is prohibited and the prints are protected by copyright laws. When you order your print, you will be allowed to select the number of your print from the open and available numbers. This will make your purchase even more relevant and personal. Immediately after you complete your payment of $150 per print, your number will be reserved and removed from the available list. ​Price per print of $150.00 includes shipping to addresses in the United States. International shipping will be calculated separately. Pre-sales of this artwork were extremely strong. Sales are on a first come, first served basis.